ALLERTON, Bronx (WABC) -- NYCHA is inspecting more than 3,000 elevators Friday night following a deadly accident at a public housing building in the Bronx. 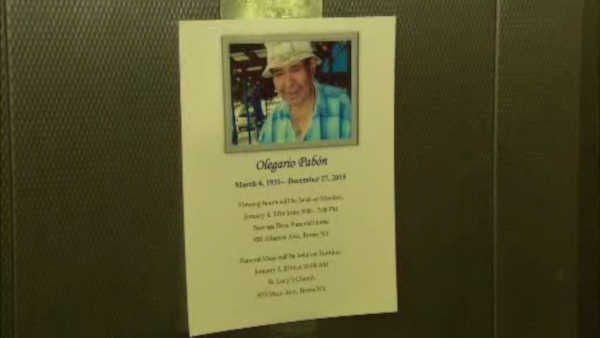 84-year-old Olegario Pabon fell and cracked his skull Christmas Day at Boston Road Plaza as he was entering the elevator. The family of the building's many elderly residents says they've had problems with the elevators for years.